Some signs you struggle with clenching or grinding your teeth are more obvious than others. If you suspect that you may suffer from the condition known as Bruxism we can help you. Here are some of the symptoms, types of Bruxism, and causes to look for if you suspect you suffer from this ailment. It is not clear why some people clench or grind their teeth at night, but dentists believe it is directly related to stress or anxiety. The condition can also be due to a combination of hereditary and psychological factors. 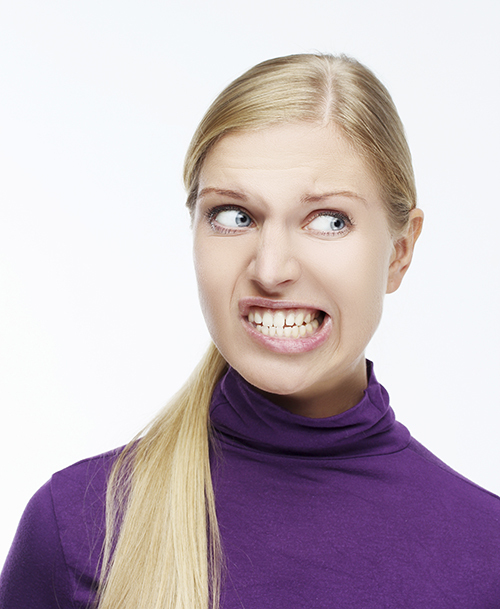 There are two kinds of Bruxism. The most common is the one that occurs at night - Sleep Bruxism- where you subconsciously clench and grind your teeth without realizing what you're doing. Awake Bruxism, usually happens when you are stressed and tighten your jaw while at work or school. Other issues such as frustration or anger can also trigger awake Bruxism. Some of the most common symptoms of teeth clenching or grinding are jaw or neck pain, frequent headaches, especially those that are close to the temple area, damaged teeth, and jaw soreness. If your teeth grinding is loud enough, it can even disrupt you and your partner's sleep. If there are signs you struggle with clenching or grinding your teeth at night or while awake, our staff will be glad to answer any questions and do a thorough examination of your teeth and jaw. We can discuss a custom-made or over-the-counter mouth guard plus some other jaw exercises that can strengthen your muscles and help relieve painful symptoms. Please don't hesitate to let us know if we can do anything to make you feel better.